There are authentic and amazing bakery shop, cafe, restaurants scattered on the street of the Russian capital city. There is a long list of the Most Served Desserts in Russian Restaurants, cafe, and shops. The long Russian history also influences the items that you might see in their counter windows. French pastries, Italian finger food, and authentic Russian dessert all blend nicely giving a variety of choices for consumers. Here is the most popular bakery shop in Moscow that opening up in the city with various choices. Here are some of the Moscow highlights spots that serve the finest delights to get something sweet upon your arrival to Moscow. This bakery shop offers the classic Russian pastry from the famous hand of chef Eric Kayser. Wolkonsky Cafe is a popular hangout place with dozen of chain shop in Moscow alone. It has a distinct flavor that familiar for Russian, moreover, the classical French twist also appeals for tourist and also non-Russian consumers. Their products are so famous that many of Moscow’s restaurant have their pastry and bread fresh from this cafe. Just by the name itself, this cafe is bound to become hit wherever the chain’s branches opened. It of course also apply to Moscow very own Vogue Cafe. Whereas the obvious lineage to the Vogue fashion magazine, the fine menu also attract many visitors. The cafe itself has a very glamorous display, as a good magazine cover should be. It teamed up with the Novikov Restoration group which responsible for the very wide selection of successful restaurants, shop and cafes in Moscow and St. Petersburg. Therefore, the bakery shop itself also exhibit exclusive style and design inside out. The primary location also attracts consumers that is in a walking distance in the city heart. The bakery shop also serves tea and coffee as a great compliment to the desserts. Let us not forget that there are Places In Russia Where You Can Taste The Best Tea In Town and some great sweet desserts to accompanied with. The amazing decor of various references to the great David Bowie creates a hipster atmosphere. Its upbeat place provides some of the loudspeakers, lights, and cactuses that divides the bakery shop into three different spaces. Enjoying your meal over the counter gives a quick stopping point to ordering and paying at the same time. The separate rooms give an extra private room while enjoying various dessert and delicious coffee. Lastly, the window counter, enable people to order right from the sidewalk for a quick take away sweet treats. Obviously, the bakery and coffee shop inspired by David Bowie. Which is a very interesting fact if you want to Get Closer To Russian Language With Music. Nothing on Russian can enjoy publicly for years, especially during the Soviet Union era. However, Russian music fans manage to listen to and love his music. Moreover, David Bowie himself return the feeling by visiting Russia several times. The bakery shop signature dishes include croissants with various fillings such as apples, lemon, strawberry, chocolate, and cheese. They claim to serve nothing but the freshest goods right from the oven. Another bakery shop right in the middle of the busy street of Moscow, that focus on giving the best sweets and desserts in town. Therefore, as a marketing stunt in this place consumers can customise their own dessert based on personal preferences and tastes. It gives more freedom to enjoy the making dessert process as well as a great hangout spot. And the best addition to the shop is the gluten-free and low-fat options which is a great and Healthiest Staple Foods Of Russian Cuisine for dessert items. 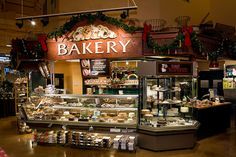 When someone thinks of dessert and bakery, they immediately think of the French classic of the moderate American style. And this cafe is a great representative of American cupcakes and cookies. Upside Down Cake has a very strong New York bakery vibes with all the sweet treats on site using famous British and American recipes. The bakery shop takes the interior design full of cupcake heavens with pastel color and amazing counters piled high with cupcakes against the casual white and mint brick walls. It is definitely a taste to try from the west. There is a very hip restaurant in downtown Moscow that on top of the very fancy dining place. The restaurant also has a bakery shop next to it, under the same name. Cafe Pushkin patisserie carries the same glamorous high-end interior depicts from the Baroque style of the classical room. It leaned more toward the elegant French palace rather than a hip cafe over the Tverskoi Bulvar. You will experience a nice fancy afternoon tea with delicious French pastry. The interior and the nice staff in vintage aprons successfully bring back consumer to the 19th-century honorifics. A nice little French bakery shop always brings romantic vibes, even to the harsh weather of Russian ambiance. The shop provides classic French desserts, pastries, and chocolates. The fresh bake items coming out from the oven heats up the shop with warm fuzzy feelings. nothing fancy or formal about this relaxing friendly bakery shop that is popular among students. Its fresh bakes bread and cakes attract the young and professionals as an easy quick bite breakfast to go. It has many branches scattered all over Moscow and other nearby cities. Its especially famous for croissants, cakes, bread, and traditional pirozhki or better known as the Russian spies. There are so many Things You Need To Taste In Russia. The extent of authentic Russian, other influential global taste and also a combination of both makes popular bakery shop in Moscow more appealing than ever. Any visitor can guess that Russian are very huge fans for sweet treats. Moreover, their creativity of turning simple ingredient and elevate it become an icon that makes Russia even famous.